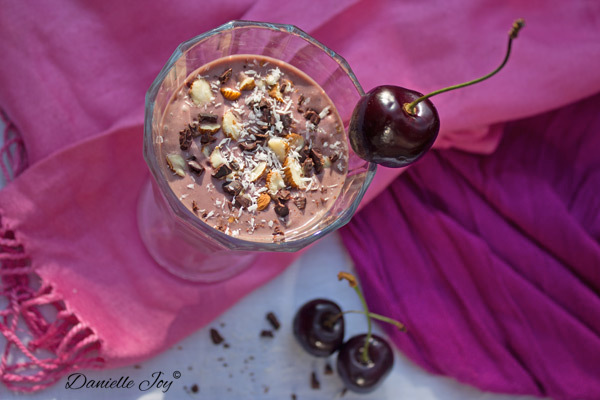 Coconut Almond Cherry Chocolate Smoothie - Your process has a purpose. 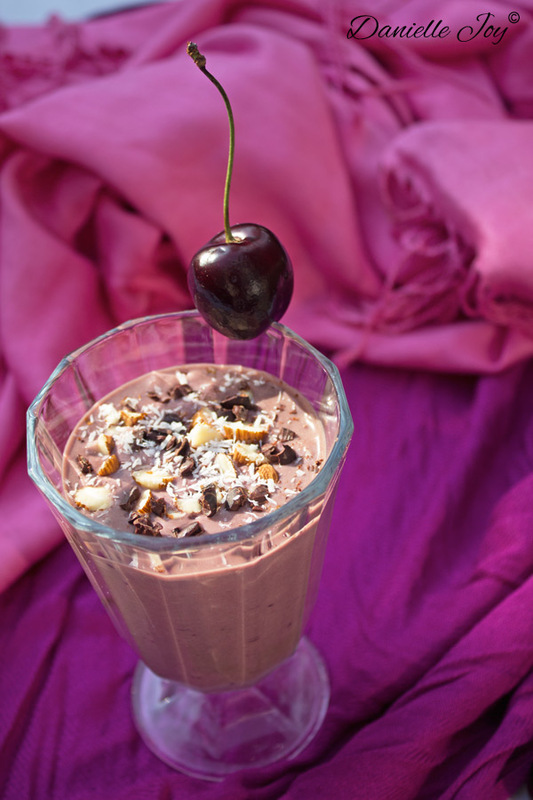 Cherries are a good source of melatonin, which helps you sleep better at night. If you are feeling drained during the day because of insomnia at night, you may benefit from an increase of melatonin intake. Cherries also have a very low glycemic index, which means your body gradually absorbs the fructose found in the fruit. This further prevents your blood sugar from spiking, providing you with lasting energy throughout the day. Cacao contains antioxidants and a chemical which is responsible for boosting endorphins, which in turn boost your mood. Because regular cocoa powder is processed and no longer contains as many antioxidants, look for raw cacao powder for maximum nutrition. Add a little maple syrup if you don’t find this smoothie sweet enough. Jammie, ziet er erg lekker uit! Thanks! Op http://daniellejoy.nl kan je het recept in het Nederlands vinden.